Clearly yesterday’s meeting between Donald Trump and Vladimir Putin wouldn’t escape the eye of the nation’s late night talk shows. It’s exactly the kind of absurd display that the Stevie Kimmels and Fallon Meyers of the world live for in these hyper political times: a genuinely unsettling news event made ridiculous enough to joke about through the mere presence of Donald Trump. And joke about it these men did, in segments ranging from a few minutes long to several minutes long, with varying degrees of political insight and legitimately funny comedy. We’ve collected them all below for your enjoyment, arranged in no particular order. 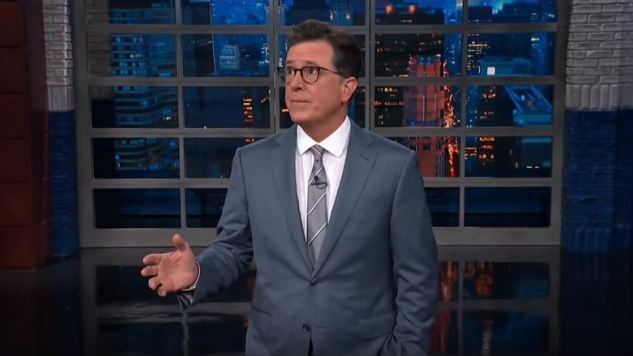 If we had to pick a favorite we’d probably call it a toss-up between Colbert and Meyers, but that might just be because we’re more familiar with them and thus more tolerant of their deliveries and viewpoints. Feel free to decide for yourself which show sums it up best, though—we’re not in the business of forcing our opinions on anybody. Like, you have the option to explore our opinions, if you so desire. For real. Click the buttons and watch the suit crew Trump it up, already.